This is the best gas turbine title that I have ever come across and I consider it to be my "Bible". 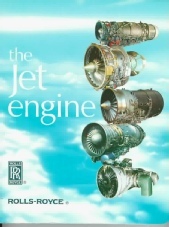 The book covers every aspect of engine design and is a good mix of theory and practice, it contains many example engines and example aircraft to which they are fitted. The book contains a section on engine starting which explains small gas turbine engines such as Auxiliary Power Units and Gas Turbine Starters and gives examples. It is the only book which actually covers APUs in any detail at all. At about £40 this book isn't cheap but well worth it. 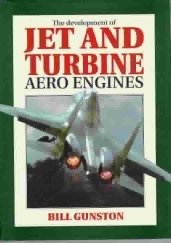 This book was a help in guessing how to make my turbo-charger work as a gas turbine and partly inspired me to hunt for a real APU type engine. 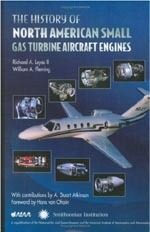 This is a very good book which explains how gas turbine aero-engines work and contains both theory and practice. This book is very well illustrated in colour and contains many examples which understandably are all RR engines. The book doesn't go into quite as much technical depth as the Treager title but is good value at around £20. 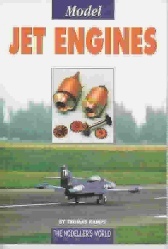 This book is all about turbo-jet engines intended for model aircraft propulsion and tells you how to build one. The book covers all the aspects off model engine design and includes plans which you can work from. 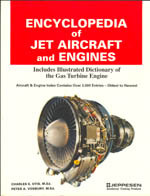 The book explains the theory of gas turbine operation and also contains pictures and information about a number of aircraft engines and an APU. At £15 good value and a useful read even if you are not directly interested in model engines. This book is written by a guy who could be considered to be the Frank Whittle of the model gas turbine world. Kurt Schreckling was the first to demonstrate a cheap home built engine for model aircraft propulsion. The book explains how to build the engine which can be made with a wooden compressor wheel. Theoretical information and information on some interesting prototypes are included. There is not much information on large engines or APUs but it is still a fascinating book and good value at £15. An organization of enthusiasts has built up around plans published in this and the Kamps book called the Gas Turbine Builder's Association. ISBN 1 85260 463 8 Published by Patrick Stephens LTD. This book is a more typical aviation title and one of a series of books written by Bill Gunston on aviation topics. 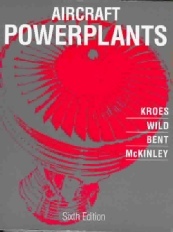 The book has two parts, part one describes how gas turbine engines work and part two describes the history of the power plant's development. The book is a good mix history and technical detail but does not cover small gas turbines or APUs in any detail. Still a good addition to anyone's book shelf at £20. 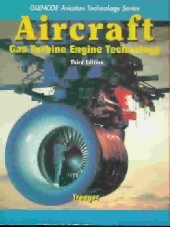 This book is written and illustrated in a similar manner to the Treager book but contains information on piston engines as well as gas turbines. The Treager and this book are written as training manuals for aircraft engineers which is why they contain so much detail and examples. I find that it is this detail which makes them more interesting. For around £40 perhaps a bit pricy but if you have all the other books and want another this is the one to go for. 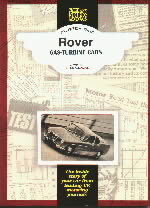 This is a fascinating collection of road tests written about the prototype turbine powered cars built by the Rover company in the 1960s. 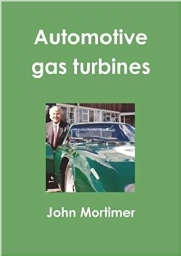 This is the only book that has ever been produced devoted solely to gas turbine powered cars, most big car companies have developed gas turbines at one time or another but very little has ever been written about the projects. Rover and the Chrysler company both got very close to producing production turbine cars- what a pity they didn't, cars today couldn't be more similar to one another and unimaginative mechanically. A vary rare title that I discovered almost by accident, written in three languages this book details a period in motor sport when some thought the future lay in gas turbine power. In the 1950s and 60s a number of aircraft engines were tried in racing cars including the G.E. T58 (RR Gnome) and the Pratt and Whitney PT6. Lots of nice colour photographs complemented with an informative text. Two British cars are featured the Lotus 56 and the Rover- BRM. The only record of the use of gas turbines in motor sport that I have found. Published by Automobilia and available from Charter's Motoring Booksellers. 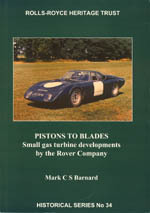 A fascinating and detailed book which chronicles the development of the small gas turbine engines built by the Rover car company and Rover Gas Turbines Ltd. This book includes the history of the car prototype engines, motorsport engines, the industrial engines and the 1S/2S series of APUs. Reference is also made to prototype truck engines and the 2S350 unit which was built for the Advanced Passenger Train APTe. 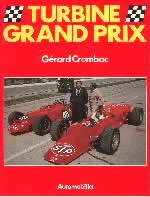 A very good book devoted entirely to small units of around 100 BHP output. A re-written version of the previous RR book by the same name. This title adopts a rather different style to the previous addition and is written with a more "Corporate" tone. The book contains three sections under the headings of design, define and deliver, each section has subsections describing practices, issues and components. Depending on your point of view the sections are in the wrong order as only the later sections actually describe the workings of a gas turbine. 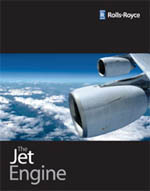 The book focuses mainly on large engines and in particular the large Trent turbofan. Small engines are not described at all and much of the practical examples and detail of the previous addition are missing (Including many RR engines and systems). The book contains many stylish photographs taken in a similar vain to opening pages of this website! A section looking at the future is interesting and references are made to the new JSF VTOL aircraft to replace the Harrier. Worth a read but get the previous addition also. 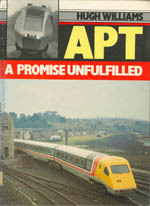 Without doubt the APTe (Advanced Passenger Train-Experimental) was the Concorde of the British railways. This book tells the story of the development of the so called "Tilting train" which was powered by four Rover/Leyland 2S350 gas turbines. A very good book with many photographs and illustrations, a real breath of fresh air when compared to most books written about trains! It's sad such an imaginatively conceived train never came into being. Now out of print. ISBN 0-89100-390-8 Jeppesen Sanderson Inc.
A useful reference publication of most aero gas turbines. A directory style listing of engines types and countries of origin. Type face and photos not particularly good. 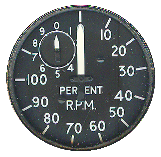 Some info and references to small gas turbines and APUs. ISBN 1-56347-332-1 American Institute of Aeronautics and Astronautics. 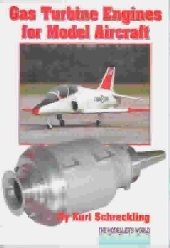 A comprehensive and detailed account of the evolution of US based small engine producers and their products. Covering from the end of the second world war to the mid 1990s this title is well worth a read. It focuses on the development of individual power plants, military projects (responsible for the birth of most US built gas turbines) and collaborative ventures between manufacturers. The book also features detailed historical tables in the back covering the life and model cycles from all the manufacturers. A European version would be a fascinating read! A useful guide to aircraft electrical practice and hence the electrical systems associated with power plants. Well illustrated with practical examples. 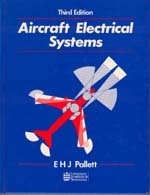 A similar book by the same author: Aircraft Instruments. 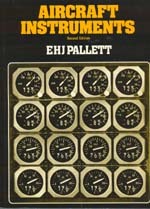 A very useful and informative book dedicated to aircraft instrumentation systems. An older addition which deals mainly with analogue and discrete systems which are applicable to the operation of gas turbines on the ground. Lots of illustrations and engine instruments are covered in detail. May be out of print but secondhand copies can be found. An account of the life of Noel Penny the engineer behind many British small gas turbines. A fascinating in site in to the workings of the cottage industry that flourished during the 1960s and 1970s.